They have a Nylon mesh veil, harder wearing than other fibre mesh. Genuine YKK smooth running zips are used throughout the suit. The unzip and throw back hood is removable. For extra protection, double thickness fabric is used on the hood. There is a head patch, also double thickness fabric, which provides extra protection to the top of the head (also perfect for mopping your brow). The ample veil provides a generous distance between nose and mesh. The full length front zip with velcro zip guard. 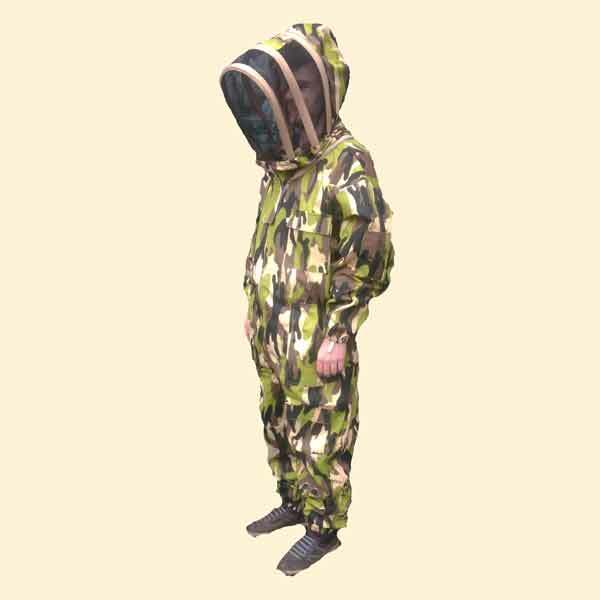 Elasticated cuffs, waist, ankles and thumb loops. 8 pockets throughout including 2 top and 2 trouser pockets with velcro flaps, 2 open trouser pockets, hive tool pocket and sleeve pocket. 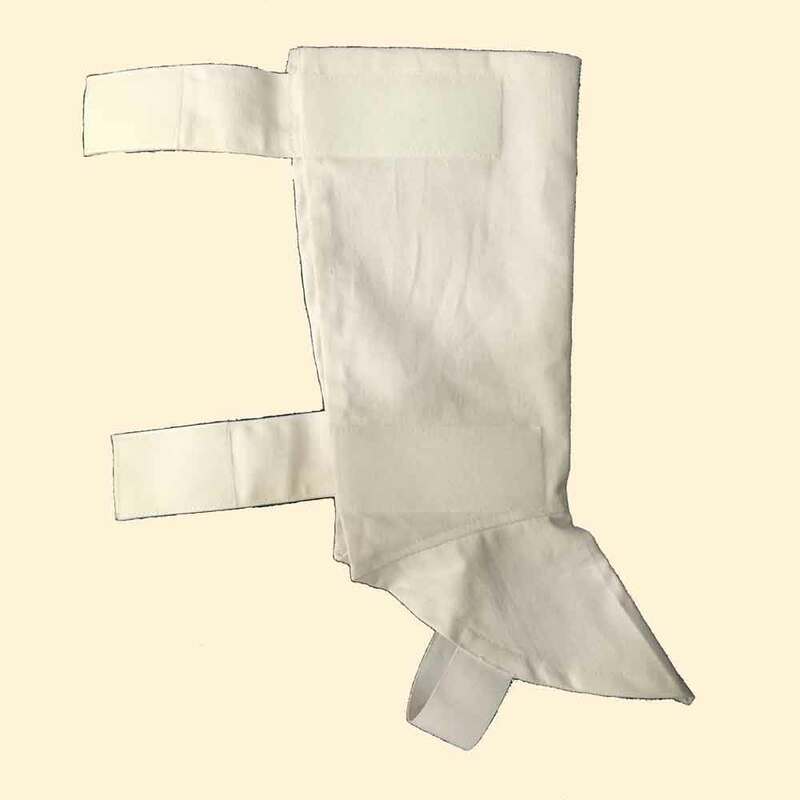 Double thickness fabric is used on the knee pads. The trouser ankles are also fitted with zips for easy on and off. These are the beekeeping suits we use every day. Read More Information below for size guide. 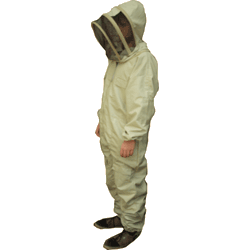 When choosing a size remember that bee suits need to be big enough to go over other clothes, bee suits that are too small are a problem, bee suits that are too big are not. Beginners note that the lancets of a honey bee sting have evolved to penetrate the skin of a bear so a single layer of fabric is not sting proof! 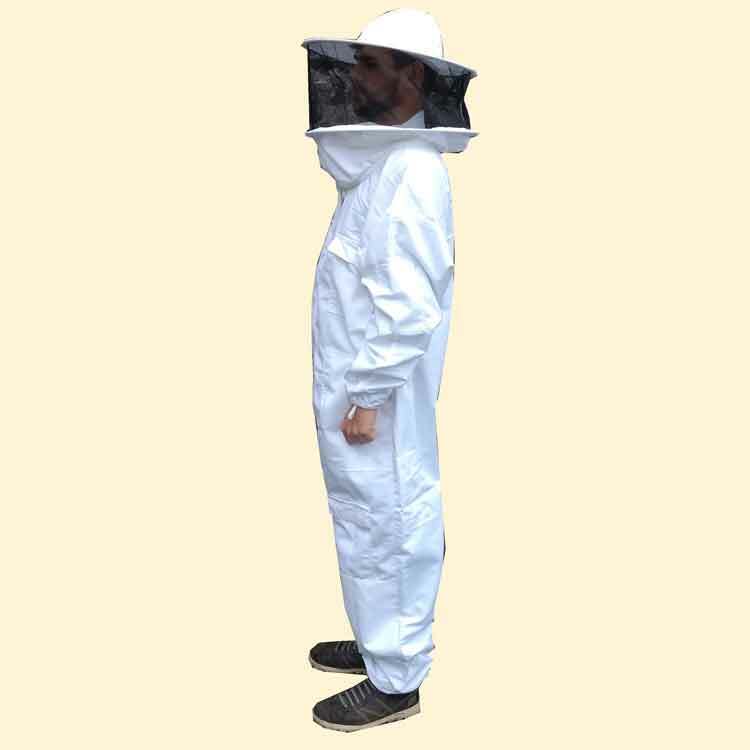 Our beekeeping suits and jackets are designed with a generous fit as work wear overalls to be worn over other clothes.